My September Boudoir Prive box finally arrived today! Was it worth the wait? Yes it was! This month is my second month of receiving both GlossyBox and Boudoir Prive and I'd decided that I was going to unsubscribe from one of them after this month. After receiving my second GlossyBox I thought Boudoir Prive was going to be the one to unsubscribe from. I was very wrong though! I love this month's box. It's so much better than I was expecting. Now I'm not sure I can unsubscribe from either for now! Anyway, more on this month's Boudoir Prive box. Everything I received in this box is something I would use and I feel excited about trying everything. I'm really happy with the mixture of makeup, skincare, body products and haircare. I also think you get quite a lot for your money this month. I'm looking forward to trying this Zoya Nail Polish as I've seen this brand on other blogs but I've never tried it myself. I like how you get the sample chart with other polishes on. I really like the look of the shade "Gem" - a beautiful rich red/pink shimmery colour. I would buy that one at least! The colour I received - "Marina" is a shimmery blue/grey colour and I don't own anything like it so I'm glad about that. It's good to see a perfume sample from a brand available in most department stores. This is where I'm likely to buy perfumes so I want to try samples of perfume I might actually buy. This is quite a powerful scent but the longer I leave it on the more I like it. I guess this perfume would last a long time as you wouldn't need to spray much on. The Macadamia Oil looks good. I quite like the scent of it as well so looking forward to giving that a go. 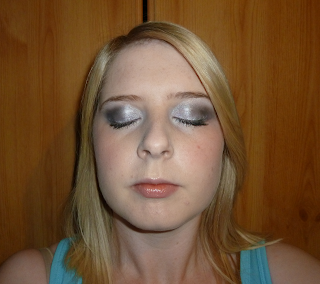 The Cargo eyeliner is a nice glittery black shade that would be perfect for a night out. I'm glad this was included in the box as I've seen Cargo in Boots before but never tried it yet. I've tried lots of different eye creams so will enjoy trying this one. Especially as it's really expensive to buy the full 15ml size at £90 so that will be a nice luxurious product to try. The Tropic Body Smooth polish smells divine. It's lovely and fruity so I'm sure that will be a real treat to use. I think this Blot & Bronze is a little extra sample this month as it's not on the little leaflet that tells you about all of your products. It seems quite a good idea. They are blotting sheets to get rid of excess oil on your face but they also add a hint of colour to the skin. Hope you enjoyed opening your Boudoir Prive box if you got one too! I've just been browsing the QVC website as I got hooked watching Philosophy on the tv channel earlier. I noticed this deal from Liz Earle and thought it seemed like good value so thought I'd share! The set contains the brand new Sheer Skin Tint everyone has been blogging about. This is normally £21.00. It also contains mini versions of the Cleanse & Polish, Instant Boost Skin Tonic Spritzer and Skin Repair Moisturiser. In addition to these you get one muslin cloth and three sachets of the Skin Tint. I'm assuming these are all three colours like you can get direct from Liz Earle to make sure you have ordered the right shade. This set costs £29.24 plus £3.95. Sorry if I've encouraged you to spend more money on beauty products! Hehe it's far too easy to get sucked into these deals. I just saw on the Garnier website that they are offering free sample packs of their new Miracle Skin Perfector BB Cream so I've just applied for one. Thought it might be useful if I posted the link incase anyone is interested in one of these packs. There are 173,300 packs to give away so I'd get in there quick but hopefully we have a good chance of getting one. Here is the link if you want to request one. I was quite bored before so I thought I'd experiment with my make up. This is something I rarely do to be honest. 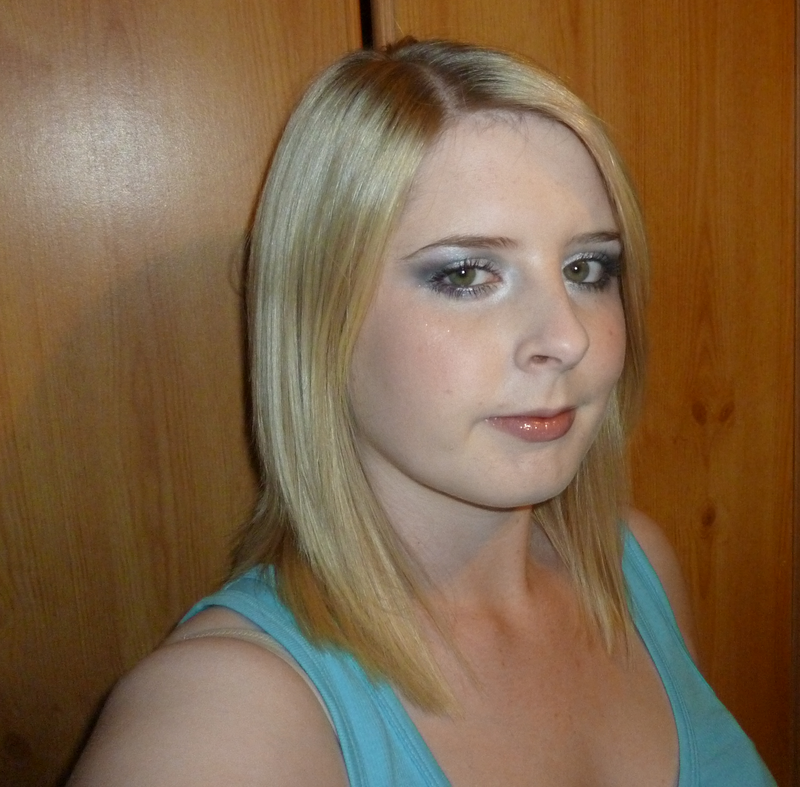 I love reading blogs and magazines about beauty products. I'm always in Boots, Debenhams, Fenwicks, etc scouting out the latest products and I spend most of my money on makeup and skincare. I'm never very adventurous with makeup though. I stick to the same every day products and all my expensive purchases sit unused. It's almost like a collection that I just like to own and look at. Sad really! I wear eyeshadow every day but I always just tend to wear one shade, just a neutral light brown or peachy shade. I'm not very artistic so have always been nervous about trying multiple shades and blending. 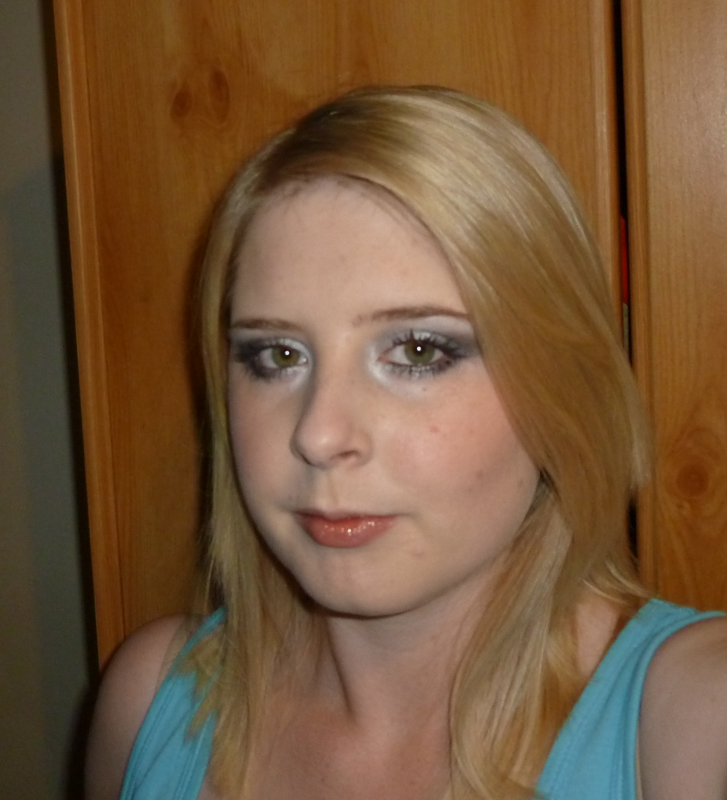 This is only the second time I have ever tried to do something different with my eyes as I'm bored of the same look! I'm still not sure I'd feel confident enough to go out like this. I'm just not used to seeing myself like this! I need more confidence! I guess if I keep practising different looks I will be more comfortable. I don't think this palette is available anymore. I bought it in June/July when it was half price. It was from the University of Arts London / London College of Fashion Limited Edition Collection. I did try the pink shade on when I first began this look but it made my eyes look sore and tired so I applied the silver over it! One last thing I wanted to add was about the No7 brushes. If you are stuck for things to buy with those £5 vouchers, I highly recommend trying the brushes. Especially if you are new to brushes and don't want to spend a lot of money on MAC or Sigma whilst experimenting. Hope this post wasn't too long! 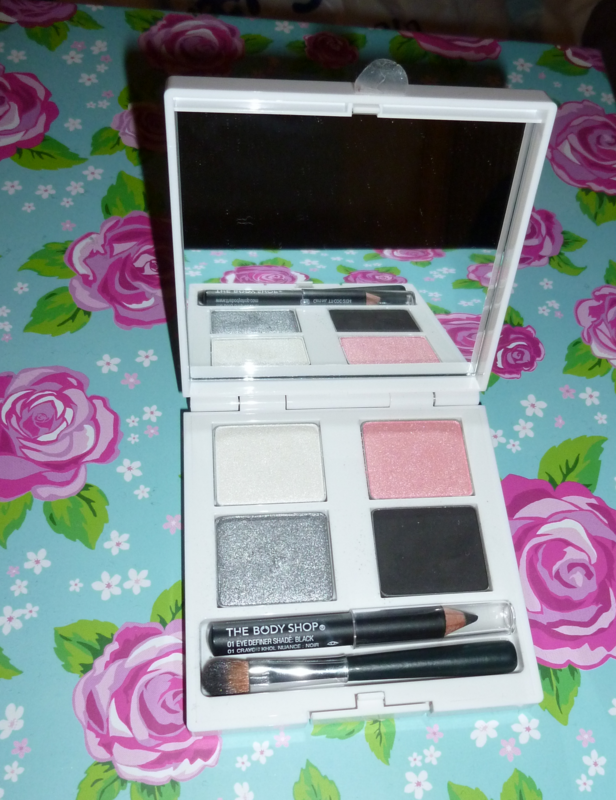 Yesterday I received my second GlossyBox. I was quite impressed with last month's box especially compared with the Boudoir Prive box as I like that fact that GlossyBox use well known brands. I'm a bit of a brand snob I think! 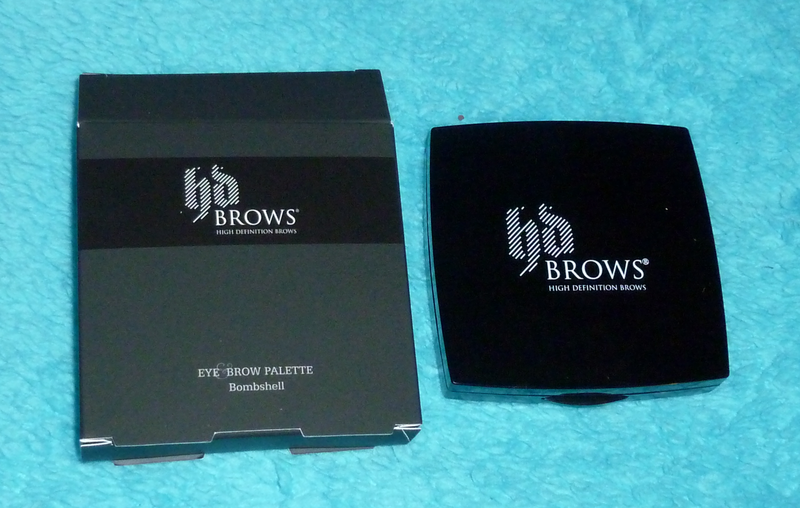 The first product that stood out to me is the HD Brows kit. I've never tried an eyebrow product before (apart from clear mascara to neaten my brows) and it's something I've been thinking about lately so I'm looking forward to having a little play with this. I'm glad I received the one for blonde hair so I can actually use it. I was wondering if this is to do with the preferences I set when I first signed up. I like the look of the Dead Sea Spa Magic scrub sachets. They seem like good quality scrubs and I think I will enjoy using them. The third thing that really interests me is the Neal and Wolf hair treatment. This looks like a really nice, luxurious product that I'm sure will do wonders for my hair. The Kimia samples are something different that I wouldn't normally use. It's contains two samples - one oil and one hydra-activator. It looks like this would be quite expensive so it will be good to try out but I don't think I would purchase something like this. I think I prefer to buy more well known skincare brands such as Elemis and Clinique. The final product is a perfume sample called Plum. This perfume is ok, but nothing special. It's a very floral scent but I think it's more suited to the more mature woman. Not something that someone in her twenties like myself would wear. It's not too bad like the overpowering scents that I got in my Boudoir Prive box last month though. 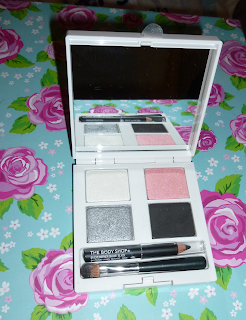 So my overall thoughts are that I'm impressed with GlossyBox and even though the price has increased to include £2.95 for P&P, I think I will continue my subscription. I'm due to receive my second Boudoir Prive box soon so I'm going to see what's in that then maybe drop one of the subscriptions. At the moment, my feeling is that I will be keeping my GlossyBoxes but we'll see! Yay my Models Own haul arrived today so I thought I'd post pictures and swatches of what I bought. This lot cost me £25.50 as it was 50% so I think I got a lot for my money. I'm loving all my nail polishes. Think my favourites are Pink Punch, Bubblegum and Top Turquoise but they are all great. Also just to let you know, these swatches were all with one coat of nail polish so pretty impressive coverage I'd say. Next on my list of polishes to try would be Orangeade. This was unfortunately out of stock whilst the sale was on :( I would also quite like to try some of the other glittery shades. I haven't tried the mascara or eyeshadow yet but I'm sure they are great. Hope these swatches were useful. Please feel free to leave links to your Models Own hauls as I would be interested to see what other people bought in the sale. Thought I'd post a quick NOTD as I haven't really been posting much. I've been quite tired lately for some reason. I think staying up late to watch Celebrity Big Brother isn't really helping! This is a lovely nail polish I got in the OPI Pirates of the Caribbean set. This contained four mini polishes and this shade was the main reason I bought it as it's a lovely colour.